Enjoying the company of a dog while on trek. Group discount of 10 people are available. Backpack offloading charges – .Charges are additional for offloading last minute, on slope. The backpack cannot weigh more than 10 kgs. No suitcases / trolleys / duffel bags will be allowed. Anything apart from the inclusions. 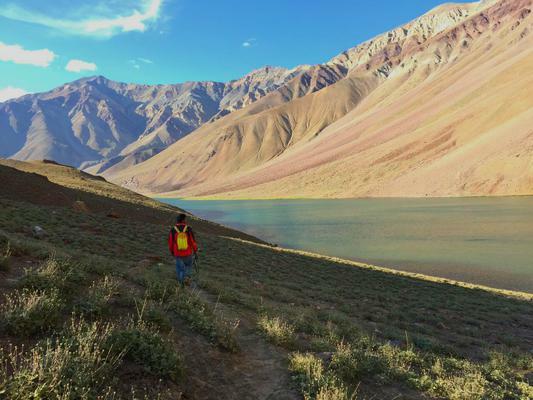 Hampta Pass is a trans Himalayan trek from Green kullu valley to barren rustic mountains of Spiti. It is absolutely a stunner when it comes to campsites with breath taking views. Crossing rivers , climbing snow passes and final night at the banks of crescent moon Chandrataal lake is a lifetime memory server. So are you willing to go for this ? Everyday departure from May 20 / 2019 - Sept 30 2019. Day 5 : Chandrataal / Chatru to Manali. Trek ends by evening 4 p.m. 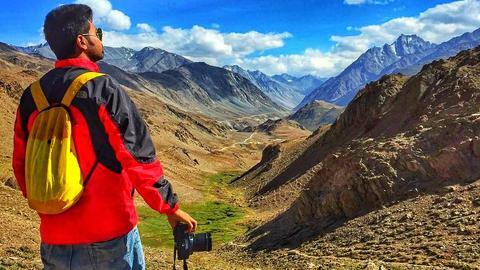 I am a nomad living in kasol Himalayas and taking people to climb mountains to earn my bread and butter. When you choose me , you help me to sustain my life on roads. I am no travel agency or corporate, a single individual guide who promises to provide you individual experience and best of services.